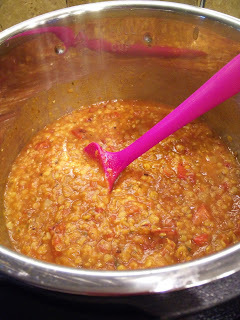 I made a few modifications to Chef AJ's Red Lentil Chili recipe, tweaking it to perfection for our family. We like to make a pot of this scrumptious chili to top baked potatoes for lunches. Each night, about an hour before we go to bed, we bake our potatoes for the next day. 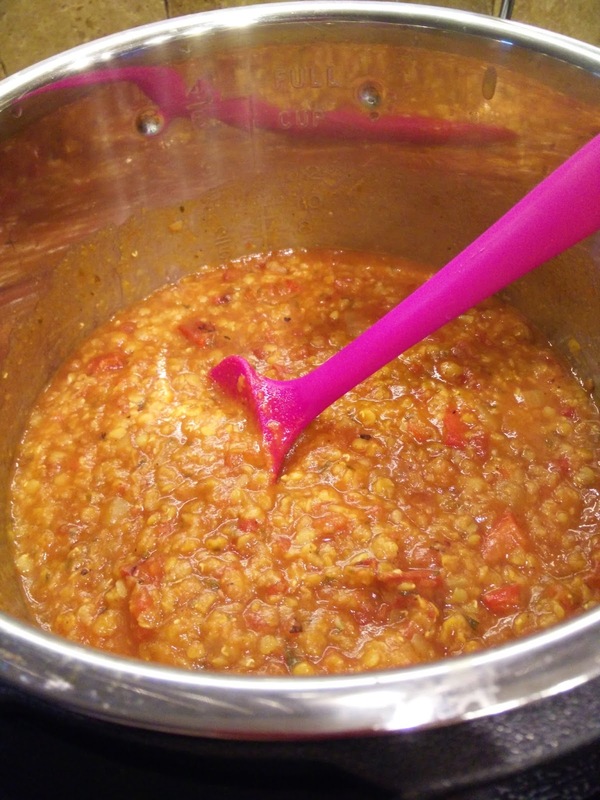 Then, we top them with some Red Lentil Chili. Sooooo good! The original recipe is enormous, so we halved it. This makes about 8 servings if you are serving it over potatoes. If you have a larger family, you might want to double this recipe. Blend the dates in 1/2 cup of the water until smooth. Place all remaining ingredients in an electric pressure cooker and cook on high for 15 minutes with NATURAL RELEASE. OR, place all ingredients in a slow cooker and cook on low for 8 hours. Serve over a baked potato. I have updated the recipe. Thank you for pointing that out!